Score the most points and dominate your friends with the Hot Wheels Super Score Speedway Playset! The epic slam-blast action with side-by-side racing compounds the fun with the element of competition and the added educational benefit of score keeping and counting. Launch from two launchers, and take the loop and see who scores. Includes one Hot Wheels vehicle, 8 pieces of extruded track 2 loop bases, 2 loop connectors, 2 exit ramps, bucket base, 3 bucket risers and 2 launchers and a label sheet! Each set sold separately. Get ready to go full throttle with Hot Wheels! Toys R Us has a huge selection of die cast cars, R/C, race tracks, play sets and accessories to build your ultimate speedway, organize your vehicles, or add to your collection. 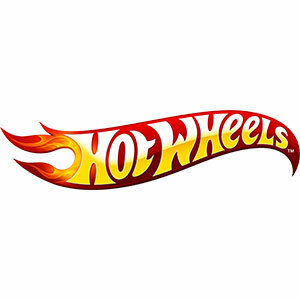 Drive over to our Hot Wheels Shop to check out even more awesome Hot Wheels products! Compete with friends to see who can score the most points with the Super Score Speedway Track Set! Includes one Hot Wheels vehicle, 8 pieces of extruded track 2 loop bases, 2 loop connectors, 2 exit ramps, bucket base, 3 bucket risers and 2 launchers and label sheet!